Put the chocolate pieces in a small bowl. Bring 1/2 cup water to a boil in a small pan. Turn the heat off, and place the bowl on top of the pan (without touching the water). Let the chocolate melt with the heat from the water vapor below it. Stir with a spoon until it's completely melted. Dip half an apricot in the chocolate, covering the front and back. Place on the dish lined with parchment. Repeat with the rest of the apricots, making sure they don't touch one another when placed on the dish. 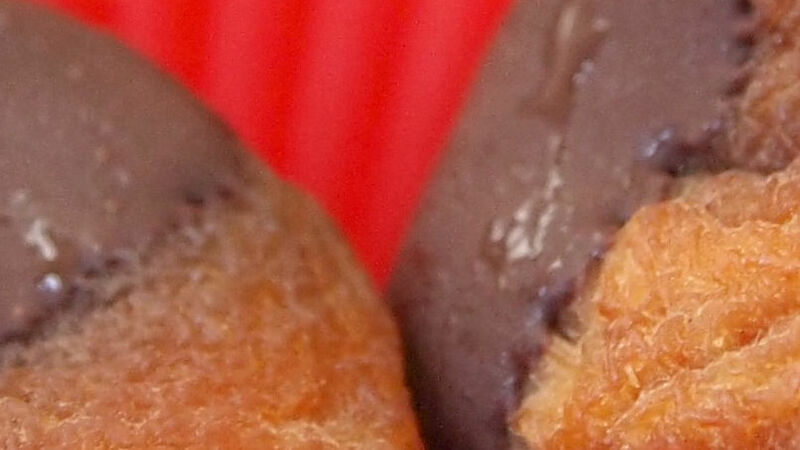 Put the dish with chocolate-covered apricots in the freezer for 15 minutes. Take the dish out of the freezer, and gently pull each apricot from the parchment paper. Keep refrigerated. You can take these chocolate-covered apricots to work and keep them in a cool place. You can also put them in a plastic container and eat them on the go. Keep in mind that the chocolate will melt if the temperature is warm. You can cover a few nuts in the same melted chocolate, and mix them with the apricots for a satisfying trail mix. In order to get through my crazy lifestyle, I have been creating my own snacks at home using only the very best ingredients. This way, I can nibble away without ever having to worry about putting undesirable ingredients in my precious body. After all, I only have one, so I better take good care of it. I can make these snacks whenever I want, and keep them at hand at all times. If I'm going out, all I need to do is pack them in a light container, and I have a snack on the go to keep my appetite at ease wherever I am!